Birmingham City Council has begun assessing open source software as part of a £330m cost-cutting programme. 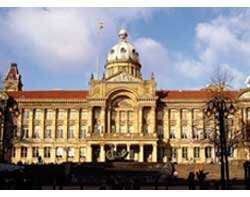 As Europe's largest city authority, Birmingham stood out with Bristol City Council for their trials of open source software in 2005. But its flirtation was cut short by a multimillion-pound deal with Capita. Gerry McMullan, business policy manager at Birmingham City Council, said the authority had a "tangled history with open source software", and its experiments with open systems had delivered "mixed" results. But the time had come for a reassessment, he added. "Like all authorities, what we are facing at the moment are fairly significant cuts. Any potential cost-reduction business case is receiving serious scrutiny," McMullan told a meeting of the Westminster eForum in Whitehall. "So we will be looking again at some of the cost aspects of open source." Birmingham also expected to be working more in collaboration with other organisations, and that had heightened the council's interest in open source. The authority expected a drive to open its data to lead a "revolution" in council affairs. The open source review has followed a period of stock-taking in the £617m, 10-year outsourcing deal Birmingham struck with Capita in 2005. The council believes the deal has already delivered efficiency savings in excess of its costs and is ahead of its target to cut £1bn from its £3.5bn budget by 2016. The present cost-cutting drive will seek to cut a further £330m by 2014. This had all distracted Birmingham's IT department from open source, said McMullan. IT staff had anyway been unsupportive of the council's early trials of open source software. Its 2005 project to put open source desktop software on 300 machines in 40 libraries was not repeated. "When that project ended, it coincided with something else the council was doing, which was a major deal with Capita to take over support and transformation," said McMullan. "The open source aspect went off the boil because we were really focused on Capita. "Something else is the role of some of these large service companies and what drivers they have and what are the commercial imperatives and cost structures, and whether they are supportive of open source," McMullan added. Mark Taylor, president of Sirius Corporation, the open source consulting firm that convened the Westminster meeting, repeated criticisms of big systems integrators made recently by government advisors. "Around 90% of government spending is spent with the same 11 suppliers. Over 80% is spent with five. America spends 48% of public sector IT spending with the top five suppliers. In the Netherlands it's 20%," said Taylor. "The reality of the situation is that the public sector is cutting itself off from small and medium-sized companies who are innovatively using open source." However, Philip Virgo, secretary general of parliamentary lobby The Information Alliance, said IBM had been instrumental in trialling open source behind the scenes at the 1995 Atlanta Olympics. EDS used it in defence applications. Paul Holt, corporate sales director of Canonical, said, "There are pockets of open source adoption in UK government. From an infrastructure perspective a lot of systems integrators use it in some of the large outsourced projects they have".